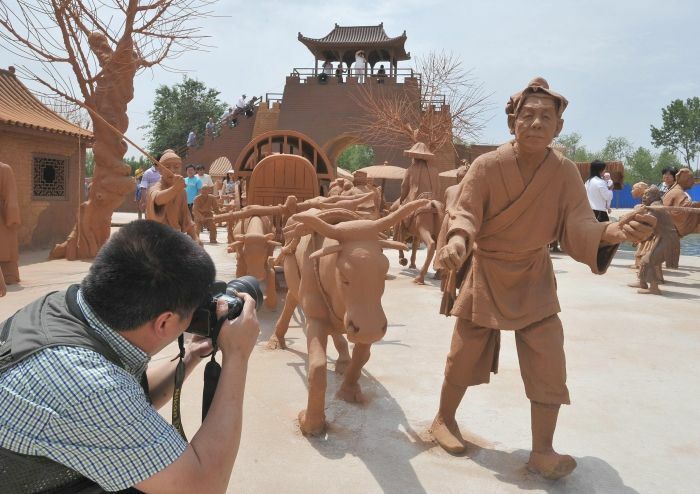 In the city of Tangshan (Tangshan) Hebei Province (Hebei) has recently emerged sight - clay sculpture park. The park is unique. 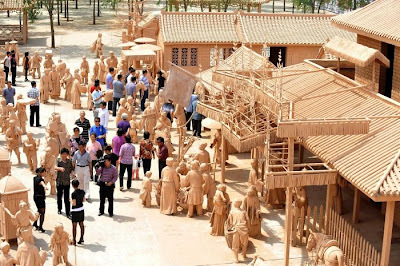 Unique because it has no analogues in the world, performed on a scale of such material, in addition of several thousand sculptures. 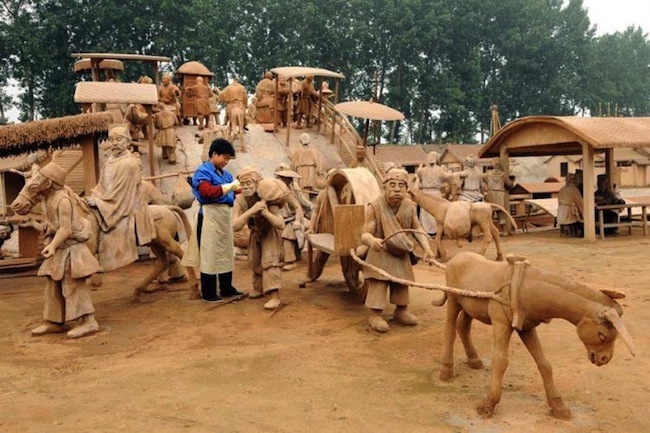 Dimensions of the territory could fit in the 60 to 300 meters, all shapes, be it people, horses or buildings are made of clay in the ratio of 2 / 3 of actual size. The author of this project was a modern, talented sculptor Shipina Qin (Qin Shiping). The inspiration came to him after watching a series of paintings "Along the River" by the artist of the Song Dynasty, Zhang Zeru (Zhang Zerui). The painting shows many faces of Chinese life from every possible color. 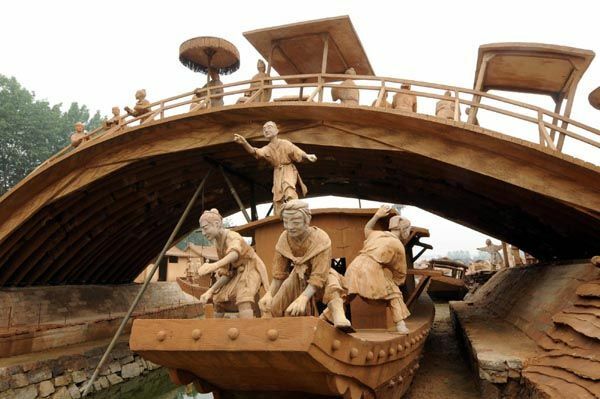 The idea occurred to Qin in 2005, but implementation of the plan started only in 2008. 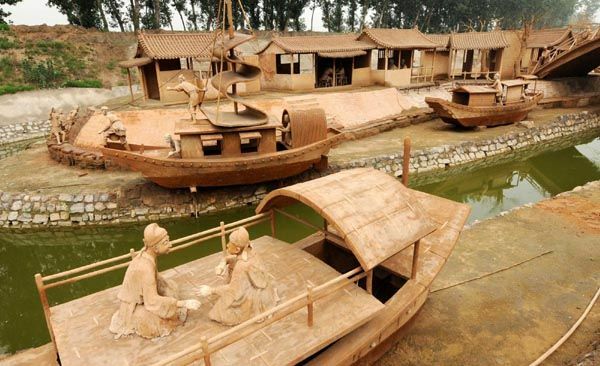 The opening was planned for the beginning of the Festival Qingming (Qingming Festival), and that happened. 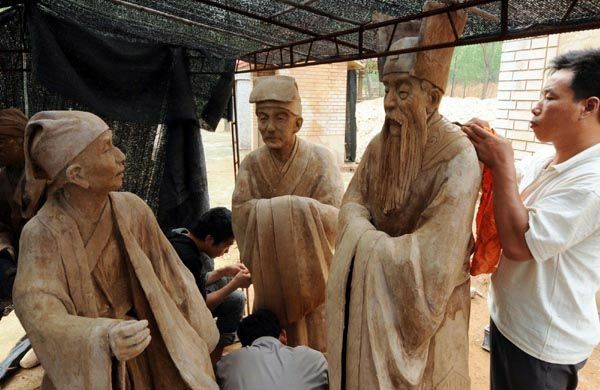 All this time the sculptures were working on three people, funding for "construction" was carried out by the author. Chin hopes to earn from visitors, which is absolutely natural, and willing to overlook attraction rebound no. Viewers can move freely across the street surrounded by clay figures, and your imagination is moved in the old days of the Song Dynasty.